We’re a good three weeks into the New Year and while many are in a stable and secure job, others find themselves searching for a new job. In a market that often feels overwhelming and oversaturated, you not only have to ensure that your skills are up to date required to help you land that dream job, but you also have to navigate competing with many other (and to be honest, sometimes better qualified) candidates. So just how you do land that role? First things first: Why do you really want that job? Money makes the world go round and we certainly need it to survive, but that doesn’t necessarily mean that you should apply for any given job. 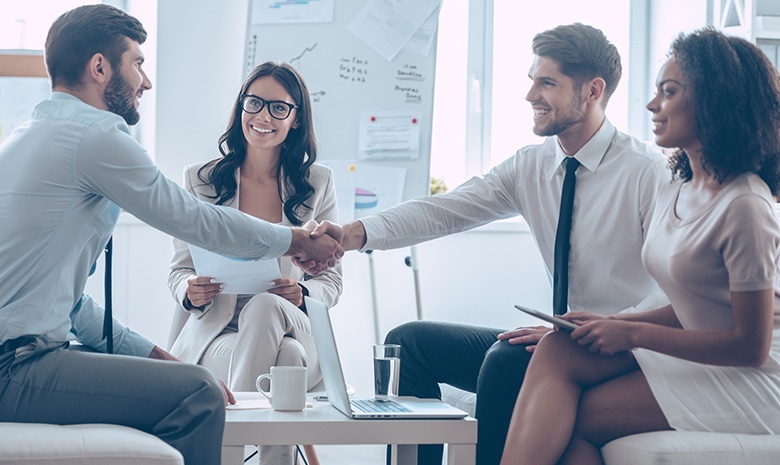 2019 is a new year – and that not only gives you the time to get a new job, but it also gives you the opportunity to truly consider your options. Think beyond the obvious and consider what you’re really looking for not just in terms of what you can bring to the company, but also what that company can offer you. Before you even do your research about the company, make a list of qualifications you have – both personal and professional. Think about the company you’re applying to and ways in which your qualifications can contribute towards the company’s growth and success. According to BusinessTech, the number one thing you need to have at your disposal is knowledge and understanding about what your role would entail. Being an informed candidate automatically means your chances of getting hired are that much higher. Is your CV up to date and error free? No matter how many times you hear this, ensuring that your CV is concise, error free and current will always be relevant. Remember: your CV is your first selling point – one that’s a drop in an ocean of résumés that are competing to make an impression. According to Livecareer.com, not only should you ensure that you have the most relevant information included in as concise a manner as possible, but for every job you’re applying for, you should also make sure that your CV is adapted and tailored to the specific requirements of whichever job you’re submitting an application for. Yes, that will mean putting in a little extra work because you’ll be editing and adjusting your CV each time you’re submitting, but you’re also ensuring that your application stands out in a sea of generic submissions. Your goal is to be a unique selling point to the company and you can only do that by creating a CV that allows a potential employer to see just how well you’d fit into the role that’s required. that aren’t relevant to the role required. Technology and social media have become major game changers. Your online footprint matters as much as your actual CV does. And with social networks like Facebook, Instagram and Twitter – the power of a retweet or repost has become as much of a powerful tool in scouting and finding a potential job. It’s also a really convenient way to showcase your portfolio and samples of your work in one targeted area. Beef up your LinkdIn profile and make sure your Twitter and Facebook are free of anything that portrays you in a negative light (because your views may be considered damaging to a company’s corporate image and could actually get you fired). Are you up to date with what’s going on in the industry? A good benchmark for many employers is determining how in the know their prospective employees are about the industry. While you’re searching and waiting for people to respond to your job application, don’t be idle. Use the time to brush up on your knowledge about the industry. Read up on the latest trend forecasts and keep up to date with any news. You can use the knowledge to your advantage in your interview because it provides you with an opportunity to ask your own questions about the company in turn. For example: you can refer to a trend and ask the company about strategies they’re planning on employing in order to remain on top of their game. Remember, your knowledge and questions relating to this should be posed in a way that also asks the company what benefit you can get by being employed by them. It’s as much an interview for them as it is for you. are often found through someone knowing someone who has a specific skillset. Get yourself noticed and keep in touch with people who work within the same industry you’re working in as opportunities are often filtered through people you know. What’s more is that it’s often people who can vouch for you and provide the company with a reference. In the lead up to scoring that job interview, an important thing to consider is this: what skills do you have that need brushing up? What areas in the industry would you like to improve on? Taking this time to take stock of what you need to land the job not only helps you improve your skills but also helps you to be more prepared for that age old question: “What are your strengths and weaknesses? ” In doing so, you can mention what your weakness is but mention what steps you’re taking to improve on it, instead of deflecting and brushing it off with a generic non-response. Employers are more likely to remember and value honest responses instead of clichés that don’t give them a good sense of what you’re like as an employee. Interviews are nerve-wrecking. You’re placed under a magnifying glass and have to put on a sales pitch of a lifetime. Compile a list of makeshift question and ask a peer to do a practise run with you. You might not get the same questions in the interview, but going through the motions of a mock up interview can boost your confidence and give you a sense of what you’d like to bring across in the interview. It also gives you the chance to get some critique from your peer, and help you to determine which answers work and which won’t. Uploading your CV to a portal? Make sure your CV is optimised to ensure that your CV is visible. Much like websites use Search Engine Optimisation methods to rank highly on Google’s search pages, career portal sites and recruitment agencies use Application Tracking Systems (ATS) to filter through CVs that most closely match what they’re looking for.